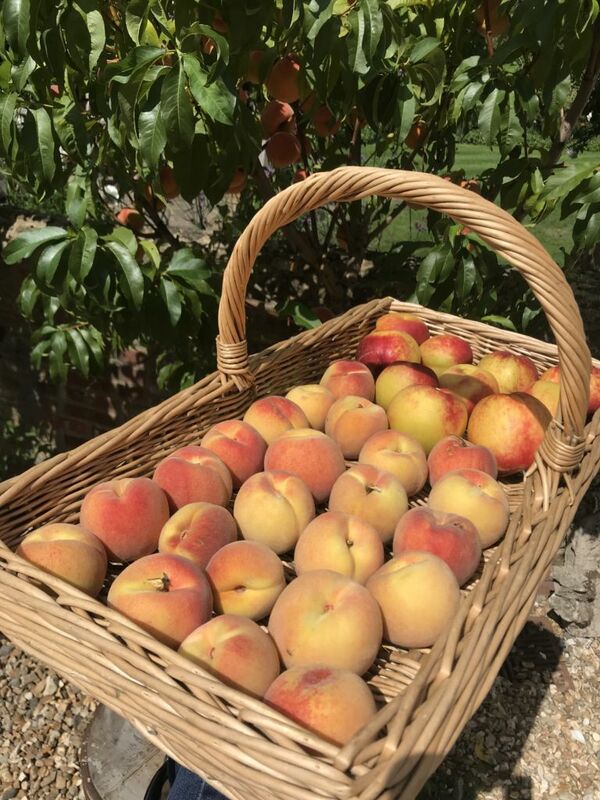 Earlier this year I planted 3 peaches in the garden which might be a tad optimistic living here in the UK. However as luck would have it, we had a heat wave this summer and my peaches blossomed. 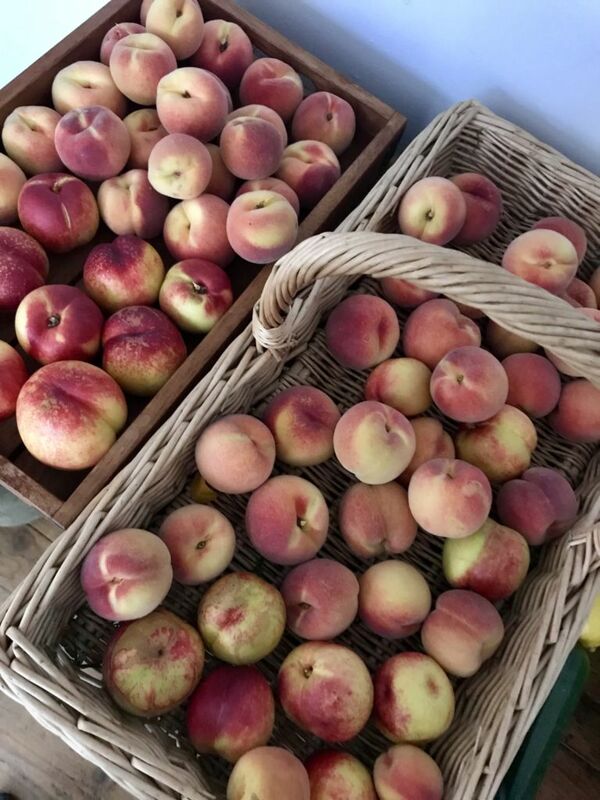 From one little tree I harvested 4 trays of peaches which was awesome! 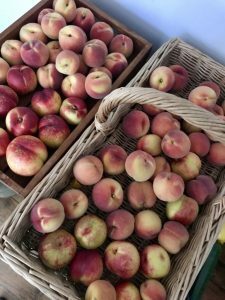 Having a glut of peaches is wonderful, but the season is short and they do not last long, so unless you bottle them or make jam you need to get creative with your recipes. Cut the peaches in half, remove the stones then cut each half into 3 (or 4 if very large). 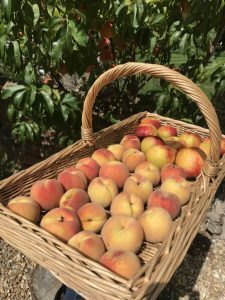 Place the peaches slices on a roasting tray and drizzle over a little light olive oil and season with sea salt and black pepper. Roast in the oven for 15-20 minutes until golden brown. Remove and leave to cool slightly. 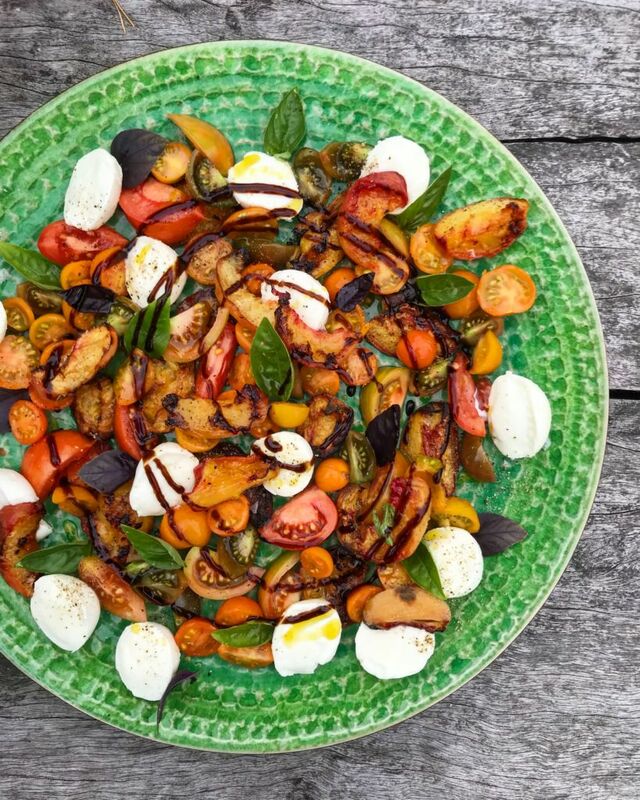 Cut the tomatoes in half and arrange on a plate with the peaches. Drain the liquid from the bocconcini and cover with warm water for 2 minutes then drain again and cut in half and add to the plate. Tear over the basil and season with salt and pepper. 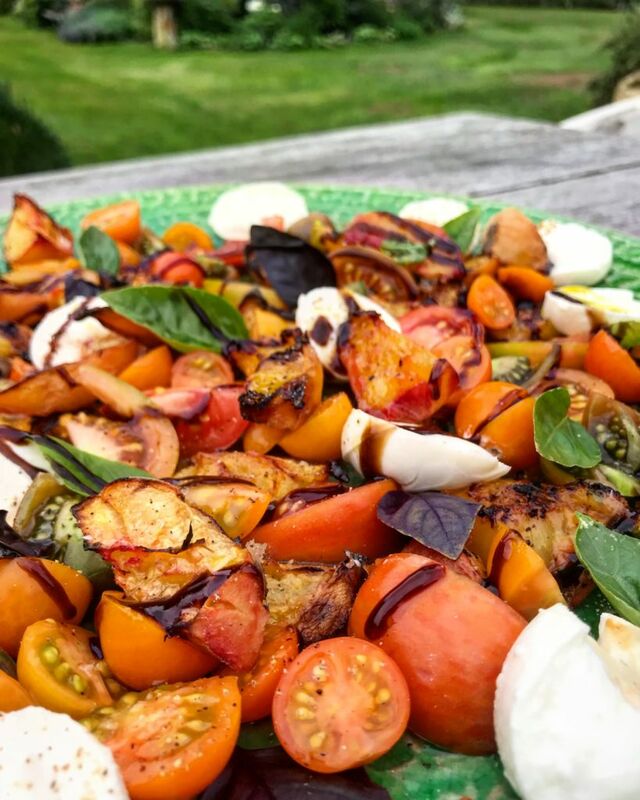 drizzle over a little olive oil and balsamic glaze and serve.